It takes 2.5 hours with the swell for the boat to make its way along the west Kauai coastline towards the islands Ni’ihau and Lehua. Fellow divers tell me that it doesn’t get any better in all Hawaii. Some of them are repeat customers from years past. The islands and reef have few indigenous inhabitants, and are protected and revered. Seascape only runs excursions to Ni’ihau from late spring to early fall, when the swells and currents get too strong. Today is the last run of the season, and due to surge, entry and exit will be drift dives. Everyone will be using Nitrox, allowing us to go longer and deeper than normal air. It’s both my first drift and Nitrox dive, and I couldn’t wait to get underwater. First site, the Lehua Ledge, sitting off the small island Lehua adjacent to the much larger Niihau. Seconds in the water, I’m being stared at by a large monk seal, an endangered pinniped that lives around these waters. As I descend, I encounter a huge school of colorful Pyramid Butterfly Fish. Below me on the shelf, I see the shadow of a large Sand Bar shark, gracefully vanishing into the shadows. Other highlights on the first dive: A Yellow Margin Moray, Tritan’s Trumpet, a Crown of Thorns, and endemic Bandit Angels. The next dive is at a pinnacle known as Vertical Awareness. My Nitrox is at 32%, and I am relieved that it tastes just like regular air. I descend to 90ft, making my way around the large outcrop. Sabine had told me to expect amazing topography, and she wasn’t fibbing. We see Pennant Butterflies, a Stout Moray, a huge Titan Scorpion Fish, an endemic Hawaiian Lionfish, and a cool red-striped nudibranch. Although the water is a comfy 79 degrees, I pass through some cold thermoclines, as a powerful surge sweeps me along. There’s a reason why this dive is seasonal. Captain Andrew sees me not far from Sabine’s bright orange safety sausage, and picks me up as divers continue to pop up all over the surface. Lunch is a fresh spread of meats, veggies and salads, as divers share obligatory tales. Sabine tells me she’s had some clients who look down on a female divemaster, but that everyone is usually respectful when it comes down to it. The best is saved for last, a drift dive to a spot called Pu’u Mu’u. 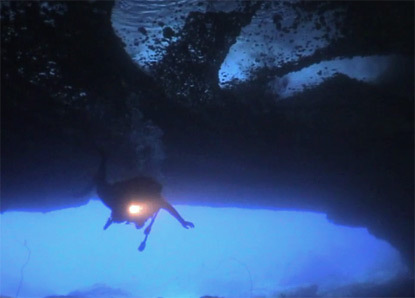 It’s my introduction to underwater caves, and while one diver ends his dive early with claustrophobia, I absolutely love it. Reflective bubbles of air gather on the cave ceiling like mercury, as my flashlight reveals so much life and color. 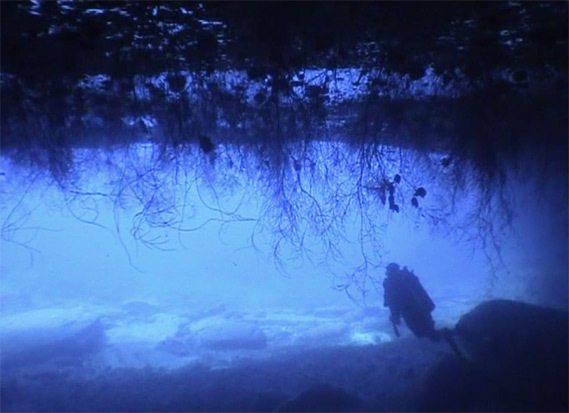 Black coral hangs from the walls, along with Cauliflower and Leather coral. Deeper into the rock, Purple Spiny Lobster and big Tiger Cowry shells are amazing to see, as I ebb towards a series of spectacular swimthroughs. It has not been long since the SDG introduced me to the life aquatic in Papua New Guinea, but I’m continually amazed at the diversity and inspiration every dive seems to deliver. The swells pick up as we return to Poipu, even as Bottlenose and Spinner dolphins gather around the boat. It will be another season before Seasport resume this incredible dive, but there’s plenty of others on Kauai to keep them, and us, busy in the meantime. 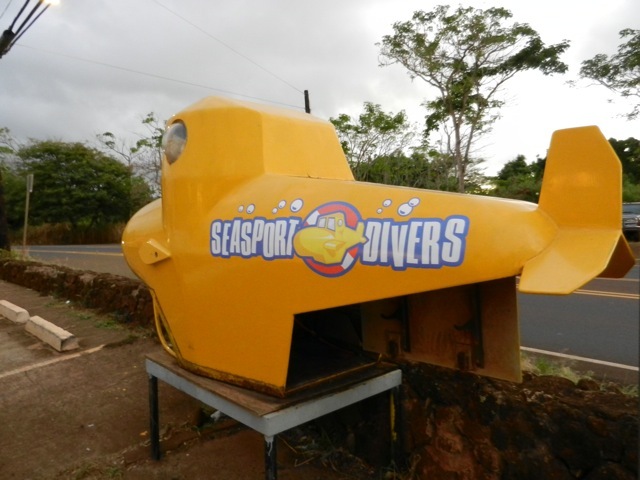 Seasport Divers are located on in Poipu Beach, on the southern side of Kauai. 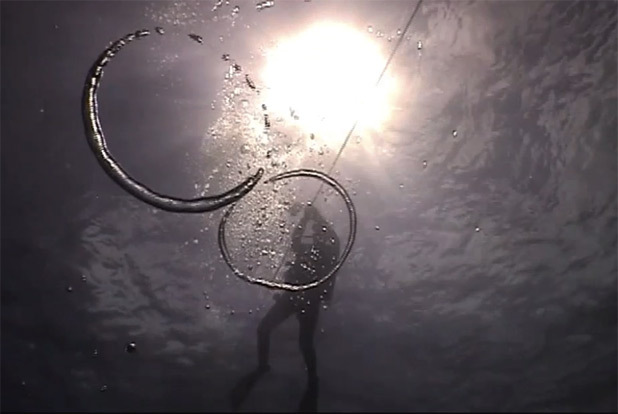 They have been in operation for 25 years, and founder Marvin Otsuji is a local diving legend. Dives to Ni’ihau run twice a week late spring to early autumn.